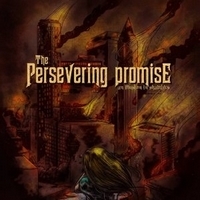 A widespread mix of metal is what The Persevering Promise brings out of the hat for their debut full length album to follow up on their EP called Fake Is Not A Pretty Color. Aggression and brutality dominates the main part of the songs, but also other musical ingredients comes into the pot, as hip hop, machine sounds, pop, and bombastic avant garde metal gets their part of the show. However with all this put together in a music washing machine, the result is rather tame in the broader picture. It's only the songs An Illusion In Shambles, and Etherality that has a little more prospective than the rest of the material with the melodic and slow elements of brutality these two mentioned songs has. I hope they try a more direct path on the next album.